I discovered the Melbourne poetry scene about two years ago, on a train home to Coburg one night. I ran into Santo Cazzati on his way to read poetry in a pub in Brunswick. 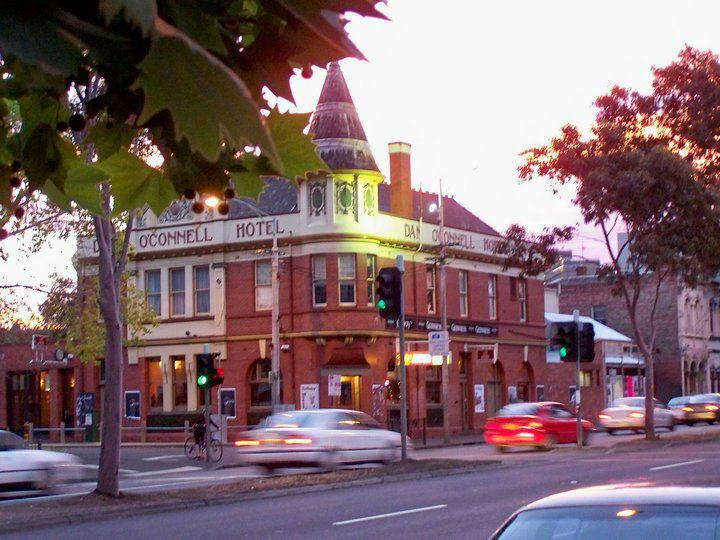 That’s how I learned about Passionate Tongues at the Brunswick Hotel: by word of mouth. And from there, the Dan, the Spinning Room and the Overload Poetry Festival. I found a whole swathe of readings, slams and events had been going on right under this poet’s nose. An entire world was opened up through one man mentioning the scene in passing and it amazed me that I had never come across any of it before. I had gone to festivals, literary events and book launches, but never knew that underneath Melbourne, there existed a world of poetry. One night, when I finally took Santo up on his invitation, I brought a neatly typed poem with me, in case I decided to read it. I imagined there might be ten people at most in a deserted pub and that it would all be over fairly quickly. What happened quickly, though, was my addiction to the scene. I was hooked after reading that one poem. The feedback was instantaneous and I knew I’d keep coming back. And I did. Every second Monday, poets gather in The Brunswick Hotel to hear a featured performer read around thirty minutes of poetry split into two sets; then it’s open mic, so people can get up to perform some of their own. It’s a tried and true format for the ‘pub poetry scene’. For me, the support and human contact was an antidote to that idea of the ‘solitary writer’, which often makes writing feel like forced incarceration. And while the open nature of many events is reminiscent of self-publishing, it revealed to me a different style of poetry and word play that seemed more accessible than the kind of page poetry you’re force-fed in high school. It also allowed me to go back to my drama roots and use my voice – and I’m not ashamed to admit that I was excited to be able to scream and shout. Among this Melbourne scene are slam poets (akin to hip-hop artists), spoken-word artists, storytellers and poets who recite as if from a page. Often, the poets try a bit of everything. The act of performing poetry in front of an audience gives you an ear for what you’re saying, let’s you see how people will react and, most of all, helps ensure your words will be understood – something not always possible with page poetry. Crowds vary, but often there is sitting room only for Melbourne’s most sought-after poets. After the Brunswick Hotel, evangelical poets pointed out other venues and poetry nights I could attend. There are always new faces, but there’s also a tight group of regulars that keep it going, like Santo Cazzati, Steve Smart, Michael Reynolds, Michelle Dabrowski and perhaps even myself now. Nights and events aren’t usually run by official organisations like Australian Poetry (well, apart from those organised by the Melbourne Poets Union); the scene itself runs most events. Individual poets put their own time and effort into organising regular nights, and one-off events or slams. They are the ones who book the venues, find the performers and promote it to the scene through word-of-mouth or, more often now, Facebook. And there’s no competition between gigs. Organisers try to avoid date clashes and publicise each other’s events to send newcomers on to discover more. This underground, grassroots nature has benefits and weaknesses. Poets aren’t known for their wealth. There are rarely grants awarded for gigs, and a lot of events are free, so poets cannot compete, for instance, with the commercial postering in Melbourne that helps support the music scene. Nor is poetry currently a mainstream cultural force in Australia. But I live in hope. In its current state, poetry in Melbourne allows for experimentation and to push political boundaries, something often lacking in mainstream culture. The small size of the scene also gives a space for new voices to emerge. I like to think it can maintain these strengths without being condemned to obscurity. 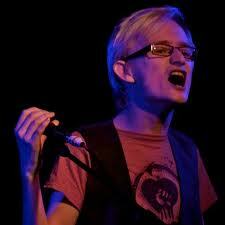 Besides, even in Melbourne, slam poetry – a kind of spoken word competition – is drawing bigger and bigger crowds. Inspired by the scene in the United States, audiences and participants mostly consist of young people who have been hooked via YouTube to the likes of Taylor Mali and Sarah Kay, who rack up millions of hits while being ignored by the more mainstream forms. The traditional pub poetry scene and the slam scene exist side-by-side and often intertwine, allowing for the intimate and the showy to co-exist and meet varying needs and tastes. Slam in particular is opening poetry up to new and younger audiences. During a slam I ran at the beginning of the year, one friend who’d never been to a poetry gig before tweeted that poetry was way more ‘badass’ than he’d thought. People have many preconceptions of what poetry is – and one taste of the scene can defy all that. A number of slam poets I know teach poetry in schools, and have discovered it’s a form that allows kids to express themselves in a more natural kind of way, especially for those influenced by hip-hop. In that, there is potential. 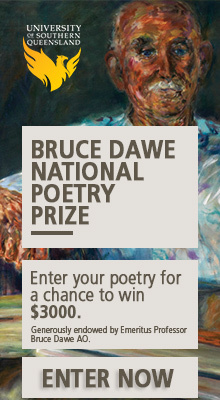 There is also the potential to grow and develop the poetry scene in Melbourne. It’s a form and scene I’ve really embraced in the last few years and I find it incredibly special and underexposed, which always leads me to preach its virtues to others, because the Melbourne Poetry scene should not be a secret. This seems a good place for a reminder that submissions are still open for Overland’s audio edition. Yes, in my memory, Melbourne has always been strong on ‘scenes’ (poetry included). More power to its poetry arm – looks like it doesn’t need it though. As to the sub-point here, the problem with submitting work to Overland, as I have witnessed, is the use of Submishmash / Submittable, where, to find the fate of a submission (Peter Minter excepted), you are forced back to Submittable’s mirror which reflects not the one failure, but your failures also from other journals using Submittable (if you’re anything like me). Who wants to submit themself to that victim image? Yes, Melbourne’s always been strong on ‘scenes’, poetry included. More power to its poetry arm – looks like it doesn’t need it though. 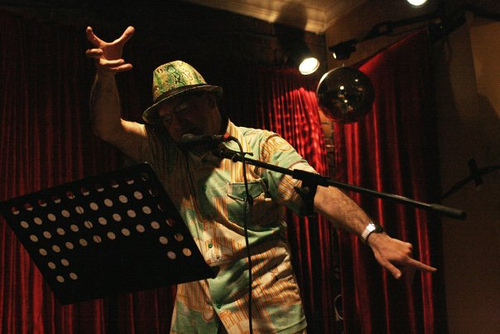 Just to let you know, that along with all the poetry gigs you mention, Pam’s Poetry Pitch – Melbourne Poetry Gig Guide has been there recording events from the 1990’s, plus handing out free, paper poetry guide’s for the same length of time. This amazing ‘grassroots scene’ has been running itself (no leader) well before I discovered it in 1983. It was the same then – everyone welcome. In fact I realised I had (overnight) become part of a huge family of poets, writers, painters, actors, artists of every genre – it was a revelation and truly inspiring. I haven’t stopped writing since, and now have literally dozens if not hundreds of friends. Pamela. I relate to what you say, Ben, about the “suppport and human contact” the poetry scene provides writers and it was equally a revelation to me to discover it. I think we came on the scene around the same time, from what I remember! Also it is very true that the general public have a very limited view of what poetry is – we talked about this on the Willy Lit fest panel. Everyone is there out of the sheer love of the written and spoken word; a community of like-minded creatives that support and inspire each other…Indeed Melbourne’s best kept secret! I love the sound of the Melbourne poetry scene. I’ll certainly visit the place for some poetry. I am writing because I have wanted to visit your lovely city of Melbourne for a long time. I have at last booked a ticket – and will be in Melbourne for 5 nights from the 21st of April next month. I am a writer amd a poet living in Tauranga, new Zealand. I would enjoy attending any poetry / literary evenings whilst I’m there. I have been published in New Zealand and overseas – would be happy to “read’ as well. If anyone has the time to contact me beforehand – and let me know of any events, that would be great. I have attached one of my poems to give a ‘feel” for my writing. Mollongghip Poetry Slam (11th year) Saturday night 7th November 2015 commencing at 8.00pm. Registration of poets from 7.00. Limited to 30 poets. Each poem must be original and no longer than 2 minutes and must include the words “Dangerous ideas”. Mollongghip Hall 531 Dean/Mollongghip Rd, Mollongghip Vic 3352. Mollongghip is situated between Ballarat and Daylesford – a small beautiful rural county town. Come and enjoy a truely wonderful unique night with great company and magnificent supper and three great judges. Bar operating on the night. Admission $10.00. Poets free. Bring a plate of supper. For more information check Mollongghip Hall Facebook or for enquiries ring Viv Dimond Ph 03 53345331.